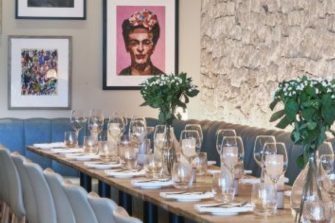 Complimentary 3 Course Lunch For 4 Guests (Including a Glass Of Wine Each) When You Book A Private Dining Event At Fiume, Battersea Power Station. Fiume Italian restaurant is located on the banks of the Thames at Battersea Power Station and is available to hire exclusively for private dining events. Booker is entitled to a complimentary 3 course lunch + glass of wine for four when booking a private dining event for more than 15 guests at Fiume. Complimentary Glass Of Fizz On Arrival For Each Of Your Guests When You Book A Private Dining Event at St Pancras Brasserie & Champagne Bar by Searcys. 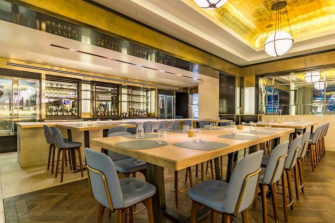 Free glass of fizz on arrival for each of your guests when you book a private dining event for April or May 2019 at St Pancras Brasserie & Champagne Bar by Searcys (minimum spend and hire fee applies). Complimentary Glass Of Sparkling Wine For Each Of Your Guests When You Book A Private Dining Event At Zoilo. 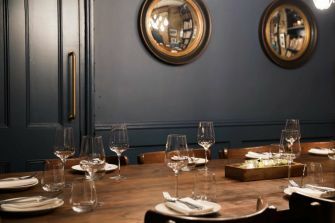 Complimentary glass of Argentinian wine for each of your guests when you book private dining event at Zoilo Argentine restaurant in Marylebone. Complimentary Glass Of Vezzoli Franciacorta For Your Guests On Arrival When You Book A Private Dining Event At Ritorno Chelsea. 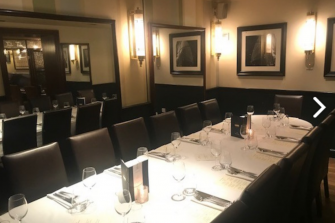 Book a private dining event at Ritorno Italian restaurant in Chelsea and your guests will enjoy a free glass of Vezzoli Franciacorta on arrival. 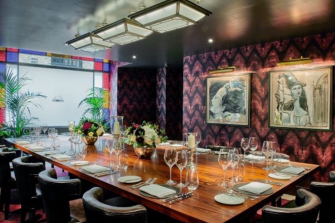 Ritorno Chelsea is a hidden gem in the heart of the Royal Borough of Kensington and Chelsea with a private dining room seating 18 guests. Book an event with us to get a free glass of Vezzoli Franciacorta for you and your guests as a reception drink. 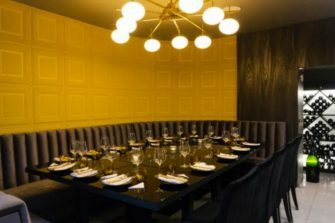 Browns Mayfair has three different sized private rooms able to accommodate between four to 20 guests. And what’s more … Browns Mayfair are offering a complimentary magnum of prosecco when you book a party for ten guests or more! 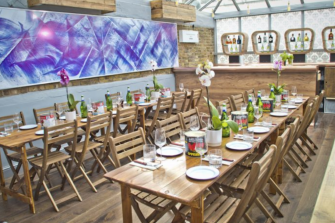 L’Osservatorio private dining room at Bunga Bunga Battersea seats up to 30 guests. 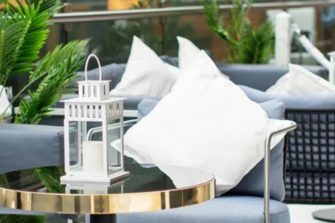 Treat your guests to a complimentary prosecco reception when you book! Free Glass of Fizz On Arrival For Events Booked At Searcys St Pancras Grand & Champagne Bar.